On Sunday night, Giants fans gathered at AT&T Park to celebrate the Giants’ victory over the Detroit Tigers in the World Series. On Monday afternoon, those fans returned to Second and King to greet their victorious Giants as their returned to San Francisco. Arriving like the rock stars that they are, several large tour buses rolled down King Street and were greeted by thousands of screaming fans trying to get photos of any Giants player. After the last bus stopped near the Second Street Gate, players started to make their way off the bus. 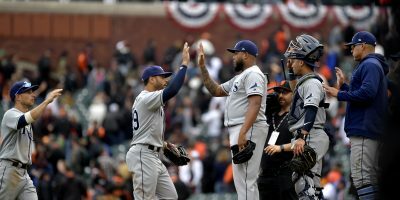 Closer Sergio Romo could be seen hoisting the Commissioner’s Trophy high above his head to show it off to the crazed fans. After a long and stressful journey to the title, the players were eager to get home and soon after arriving, players were seen leaving the stadium. Romo, Pablo Sandoval and Tim Lincecum were among the first to leave. 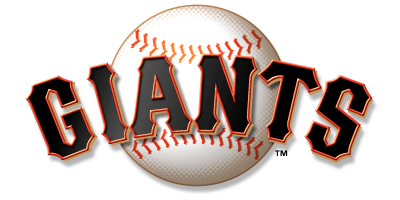 Wisely, the Giants will take one day to rest before their victory parade down Market Street on Wednesday morning. If you’re stuck at work — or in Des Moines — don’t fret. SFBay photographers will bring you full coverage of Wednesday’s parade as it happens.